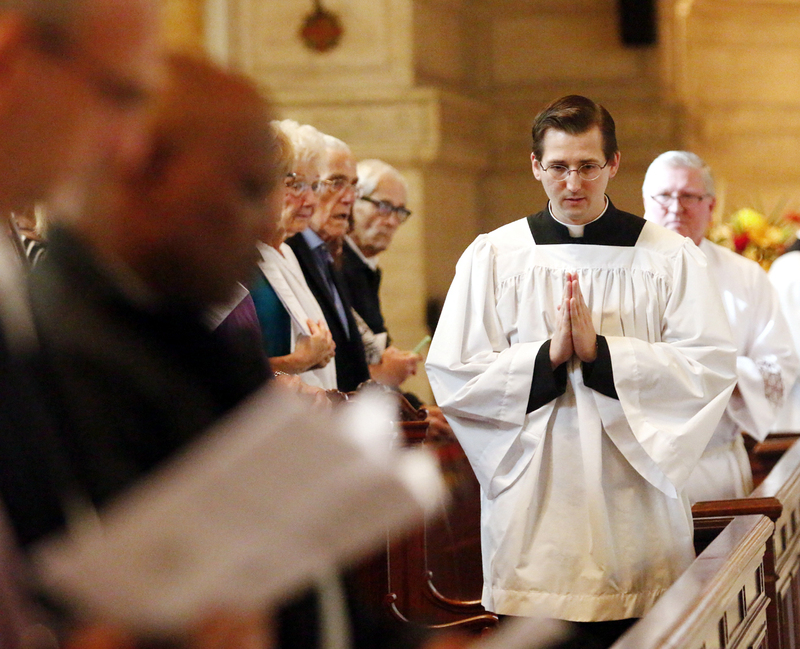 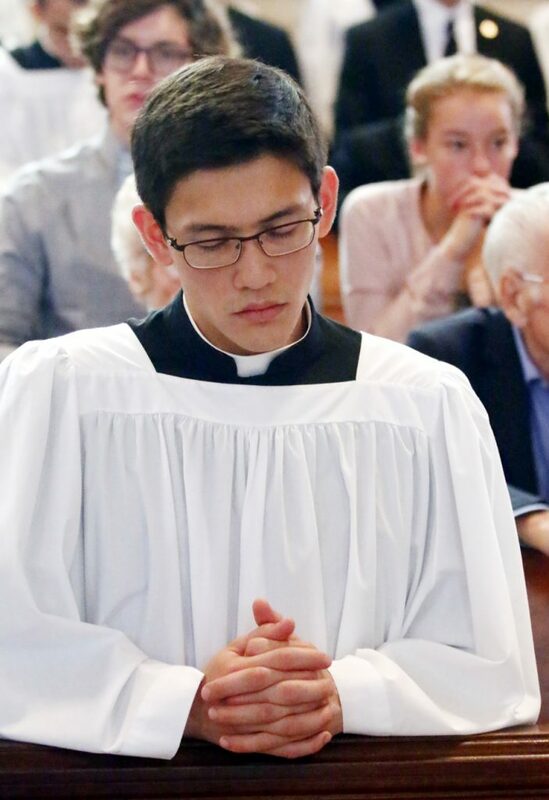 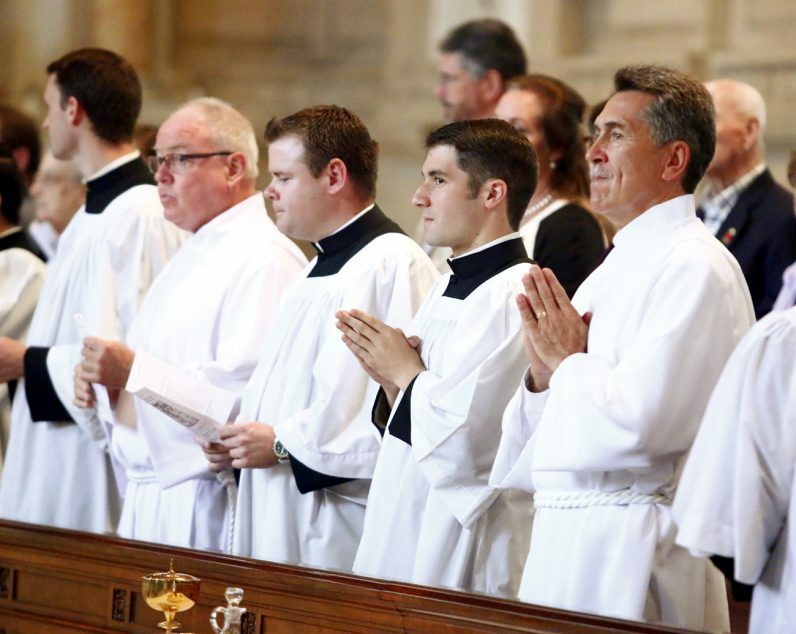 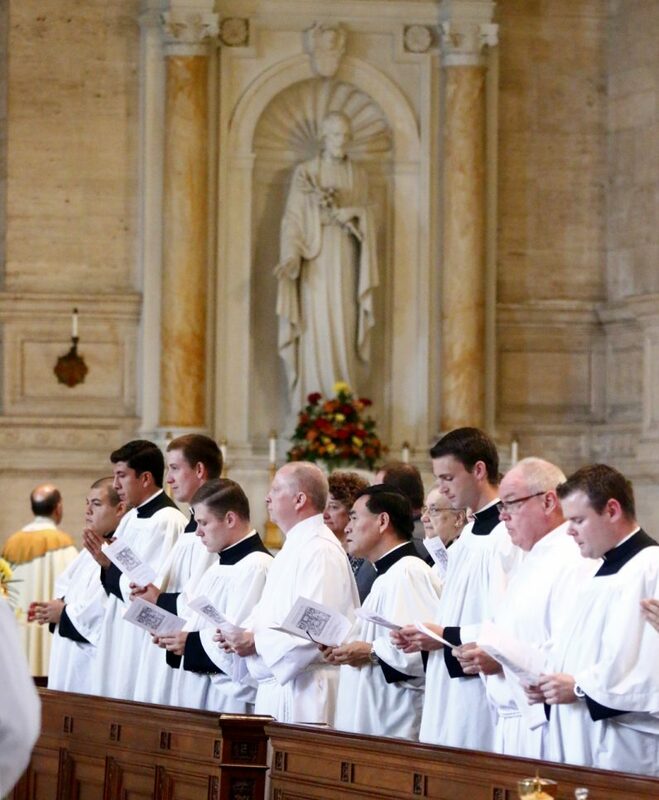 Seminarian David Buffum processes into St. Martin’s Chapel for the ministry of lector. 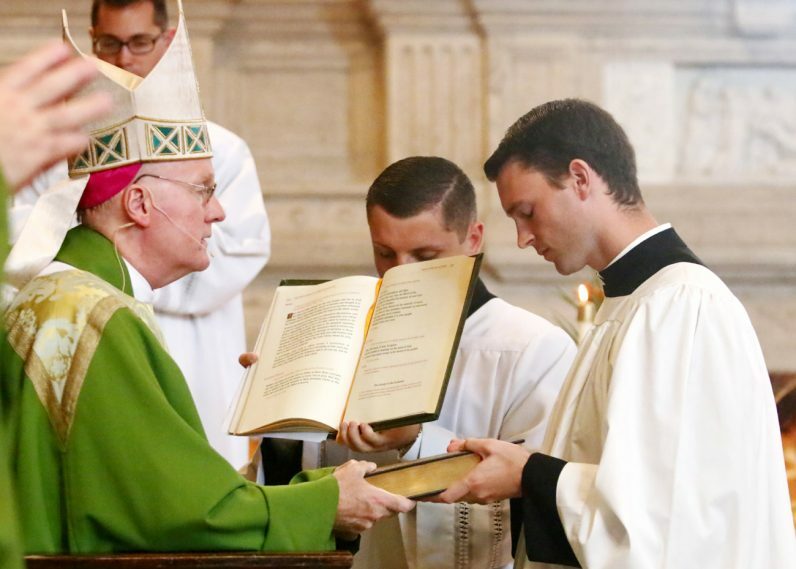 Seminarian David O’Brien and deacon candidate Mark Nowakowski are presented to the bishop to receive the ministry of lector. 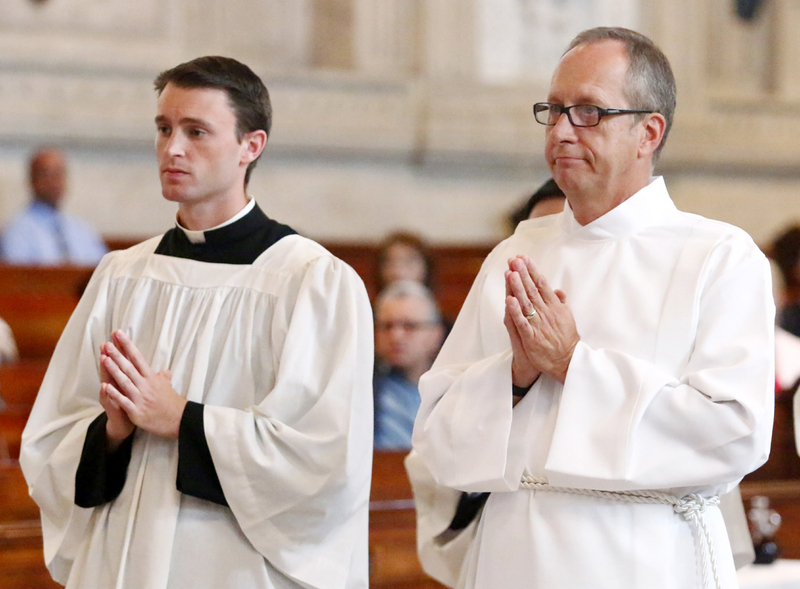 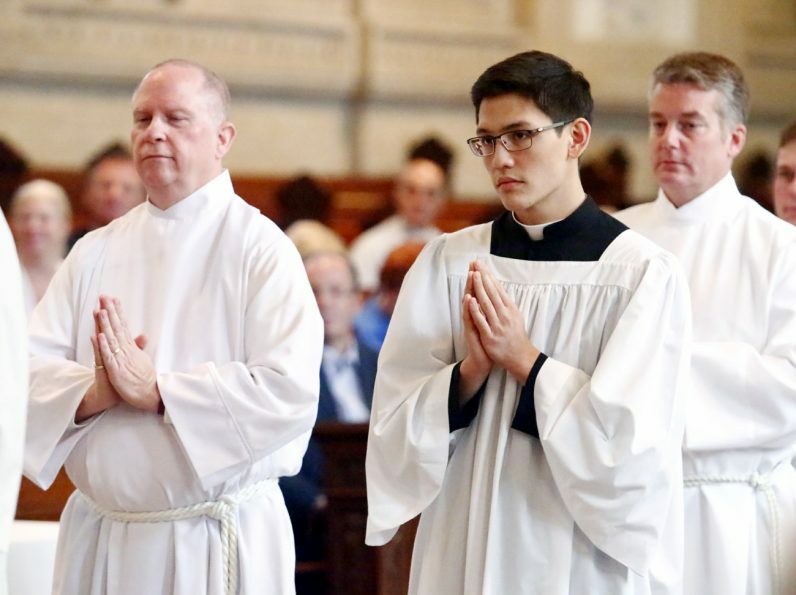 From left Paul Stoyell-Mulholland, Anthony Raymundo and Thomas Verna prepare to receive the ministry of lector on Saturday, Sept. 17. 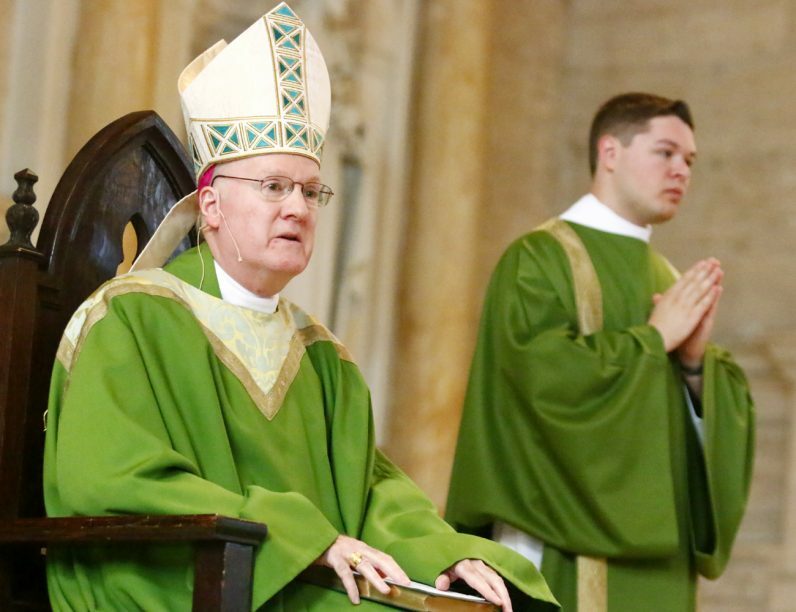 Bishop Michael Fitzgerald address the candidates for the ministry. 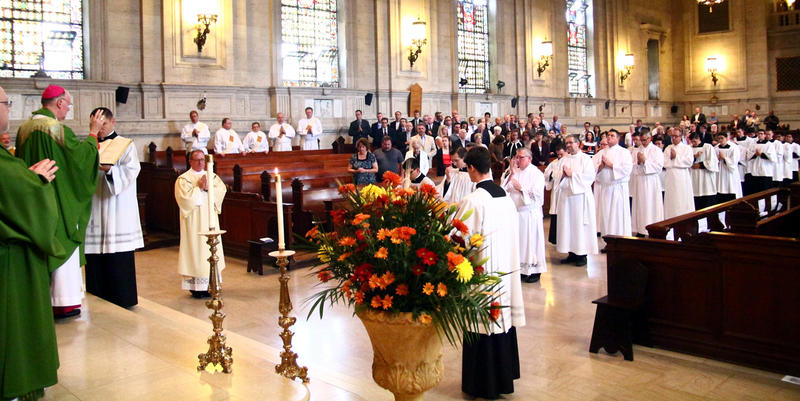 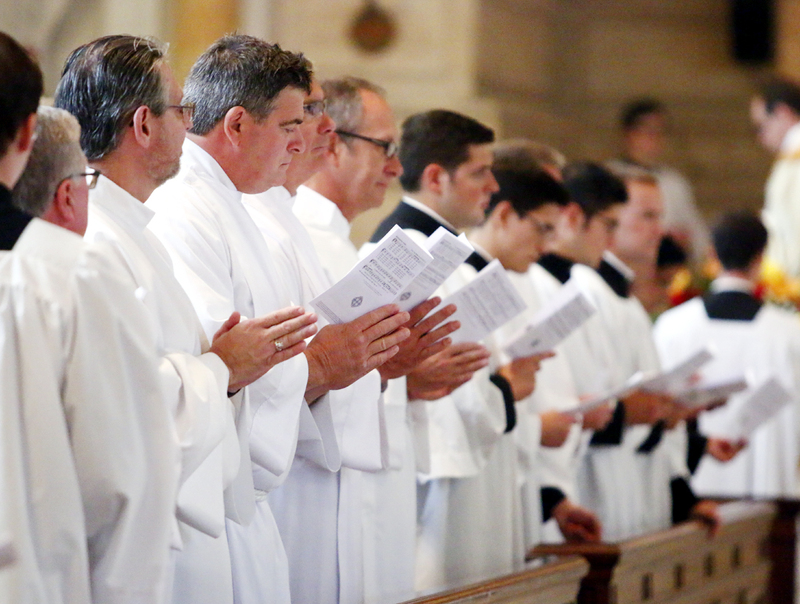 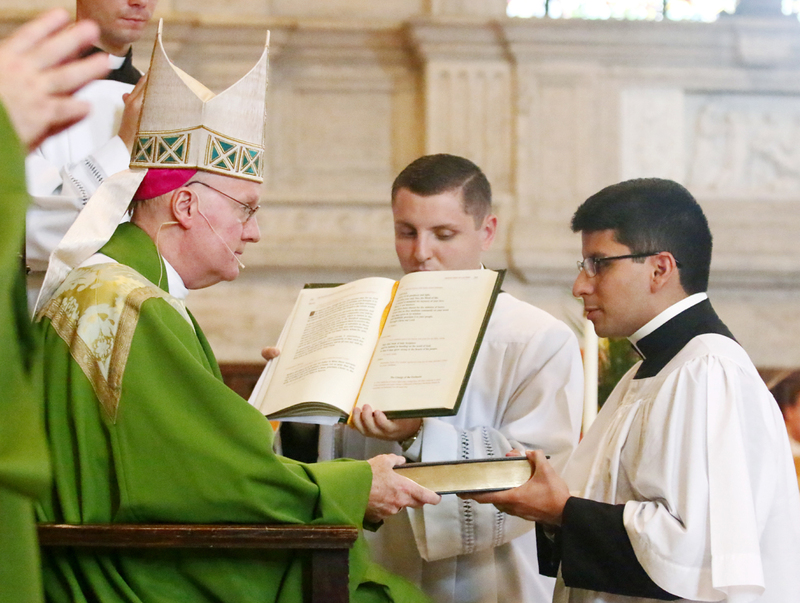 Marco Casanova is instituted into the ministry of lectors by Bishop Michael Fitzgerald. 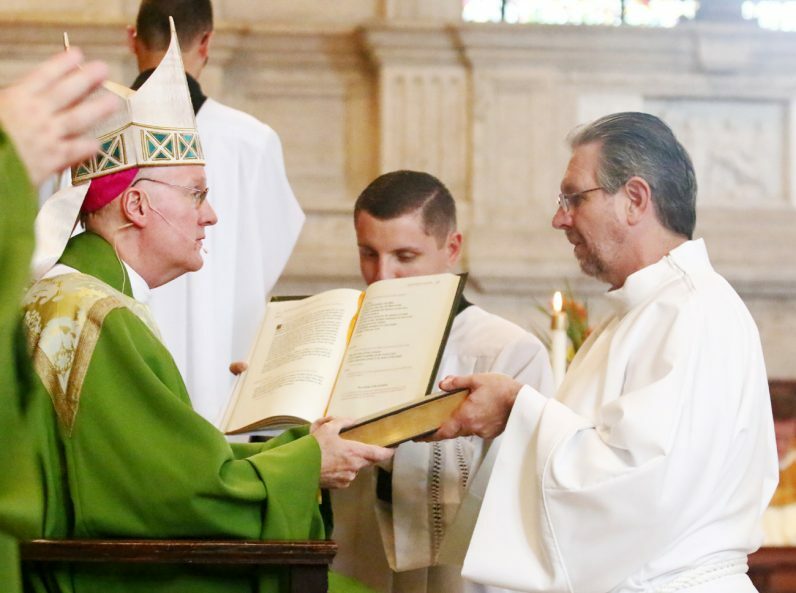 Diaconate candidate Franz Fruehwald receives the ministry of lector. 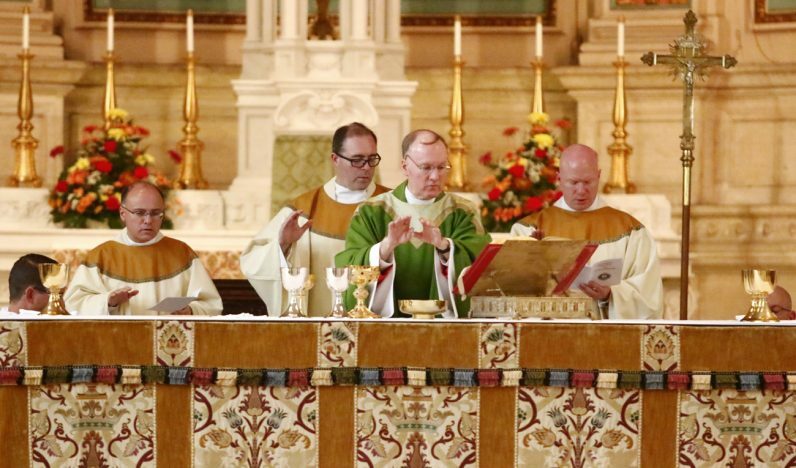 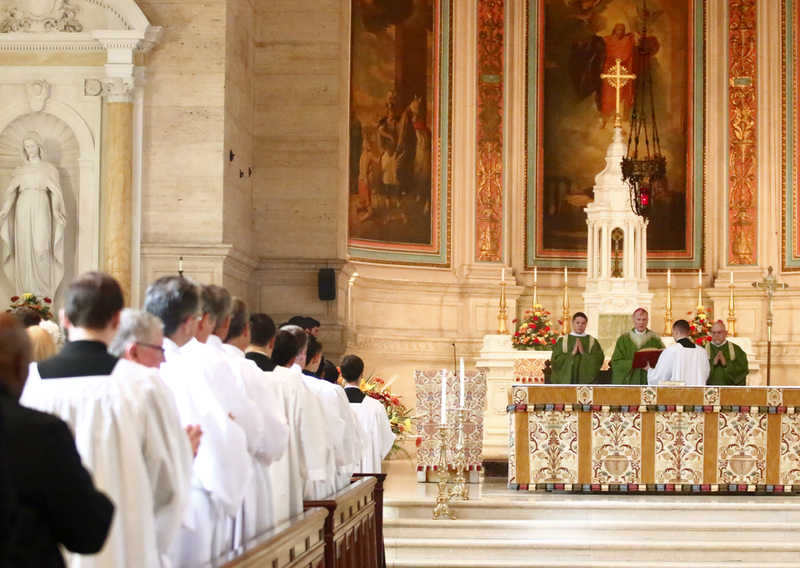 Bishop Michael Fitzgerald hands the Word of God to David O’Brien, signifying him a lector. 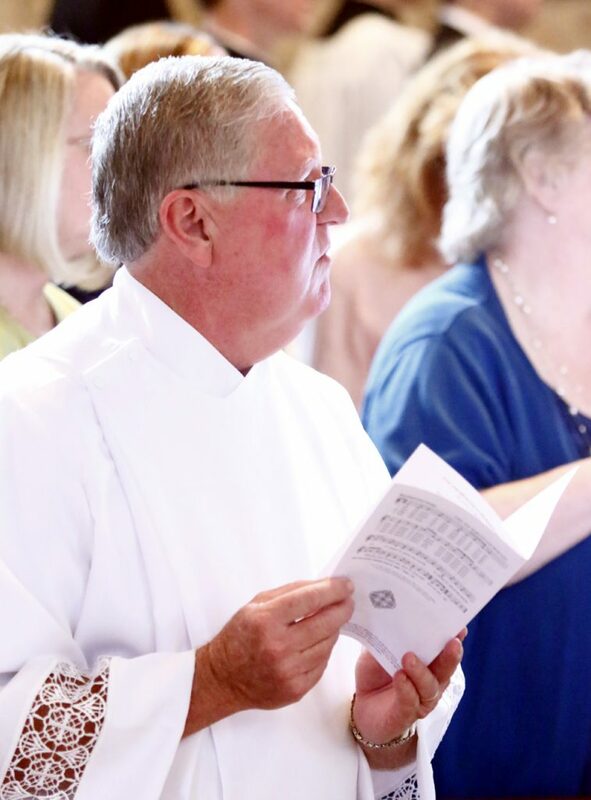 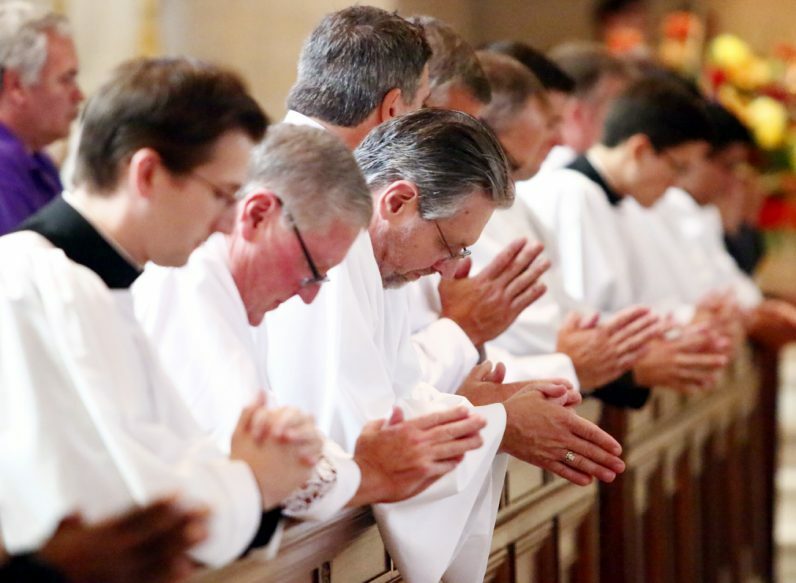 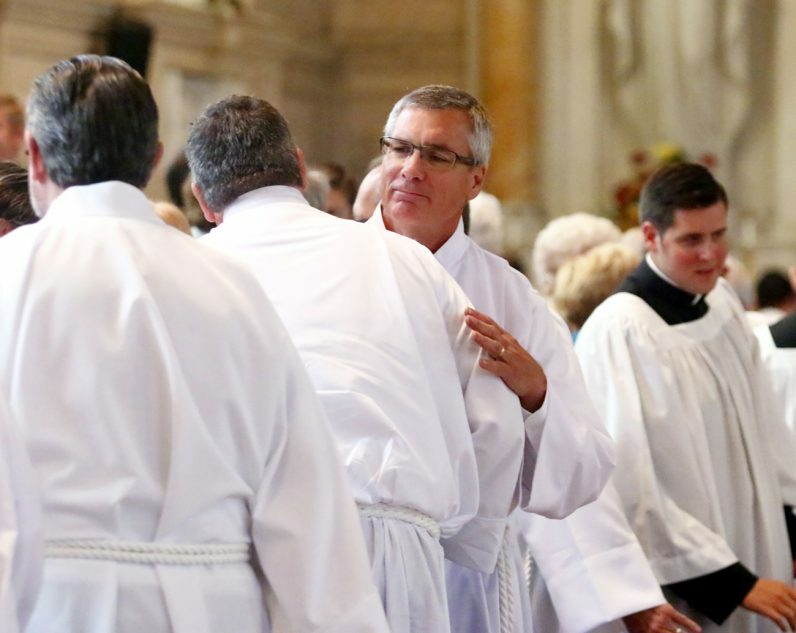 Gregg Hoyer offers a sign of peace to his fellow diaconate candidate. 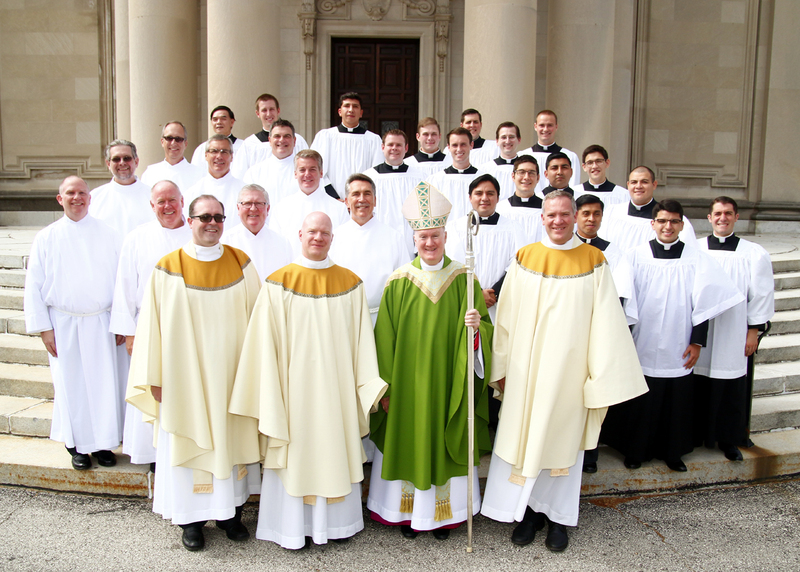 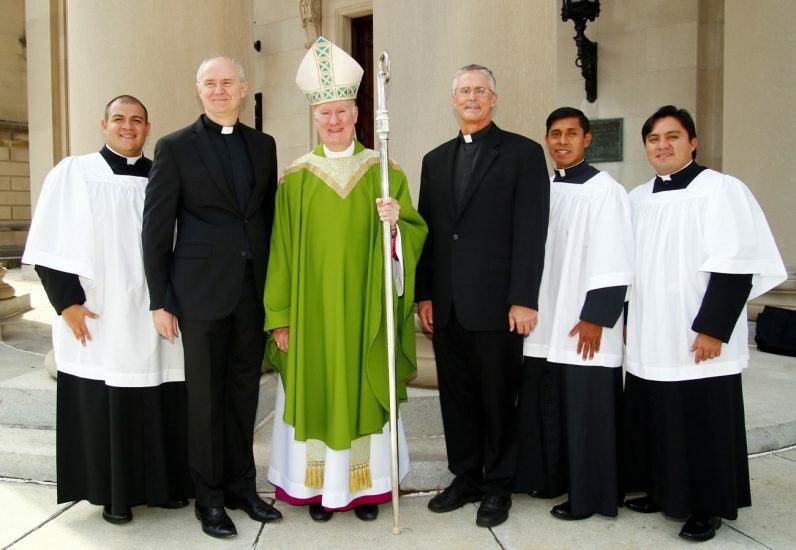 Bishop Fitzgerald poses for a photo with two priests of the Congregation for the Mission, or Vincentians, and three seminarians from the order who received lector, including (from left) David Serrano, Leo Tiburcio and Luis Romero.